“Here Come the Bots! 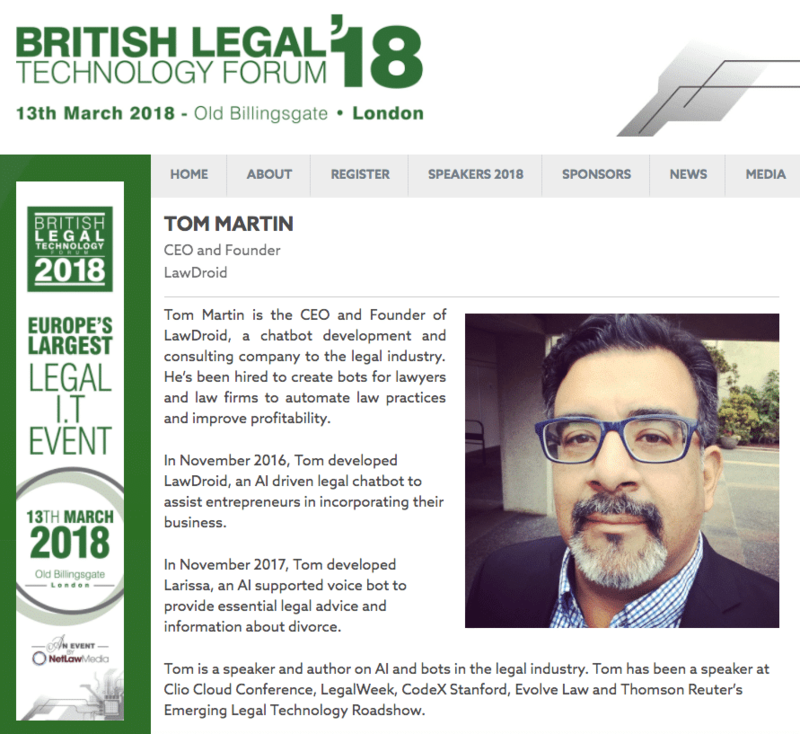 What are the best (and worst) uses of Chatbots” was the subject of a debate between Tom Martin, Founder, LawDroid and Joshua Lenon, Lawyer in Residence at Clio at the 2017 Vancouver Emerging Legal Technology Roadshow put on by LawMade and Thomson Reuters. 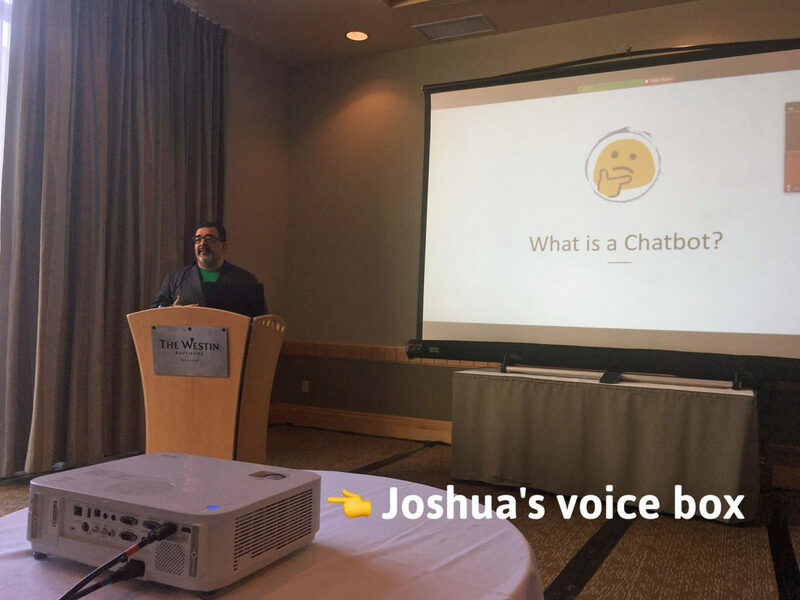 LawDroid Founder Tom Martin presented “How to Build a Chatbot” at the Clio Cloud Conference in New Orleans, Louisiana.